• As you leave the airport [only one way out] in about 1km you will go onto a flyover. Almost immediately you pick up a BLUE [1P1] A22 Lisboa / Portimão sign which you must follow this will swing you down onto the old N125 where a new dual carriage way has been constructed. • Stay on this road and after a few kilometres you will again see the BLUE A22 Lisboa / Portimão sign. This will very soon swing you to the left lane with another small BLUE A22 sign. Following this road and in approx. 3kms you will yet again see the BLUE A22 Lisboa / Espanha [Spain] sign. Take this road and it will shortly divide again and you need to follow the LISBOA direction. • Now take it easy as the next turn you need comes up rather suddenly for the Lisboa / Albufeira direction take this turn and you should now be heading West on the A22 direction Lisboa / Albufeira / Portimão. • Continue on the A22 . En route you will see the A2 branch off for Lisboa while the A22 carries on towards Lagos / Portimão. • The exit you need is Junction 4 to ALVOR. Follow the slip road to the roundabout and take the first exit which is signposted FIGUEIRA — this will drop you down onto the old N125. Take care as you join the road. Give way to traffic approaching from your left. • Almost immediately you will pass a BP Petrol station, one each side of the road. Within 50mtrs take a right hand turn signposted Torre-Alcalar Casais. From this turn you have exactly 5kms to travel – so check odometer. On route you will go under a very narrow railway bridge. The road continues to twist and turn through the countryside, taking you over the new motorway and on towards Monte Canelas and Quinta Velha. • As you get closer your next landmark is a very small cross road, with a left turn to Perreira , DO NOT take this one ! • Ignore the next left turn sign posted ‘Monte Canelas’ as this is NOT the one you need to take. You will continue straight past a small Cul-de-Sac on your left called Aldeia das Biscainhas, and within 100 meters after that, take the next left turn marked with a Monte Canelas sign. 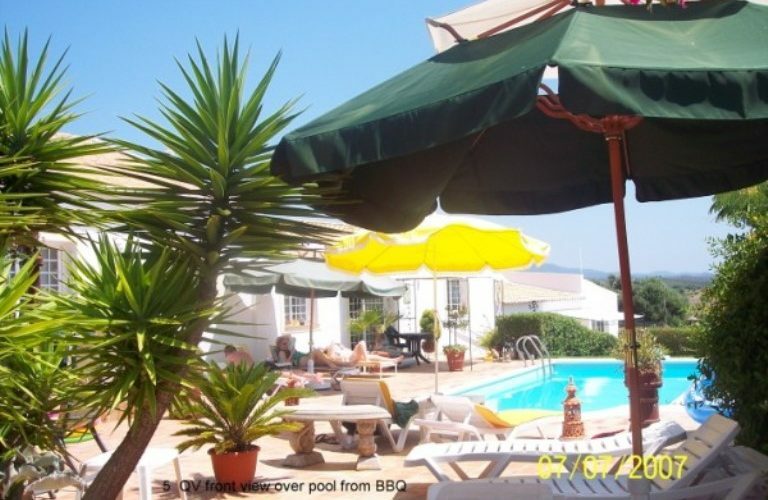 • As you turn left the road forks and you stay to the right and you will see Quinta Velha approximately 100 meters ahead.